I face some prob. I cant find the format of "Call background sound" Plz say any body whats the format is support,,,,,,,,,,,,,,,? Near about 1 year I'm using This hand set (BenQ T60). I not found any problem to use. Thanks to BenQ. Battery too poor. Metal color already gone around 6 months. Not happy with this device so problamatic. I need to know setting for 3gp file. If I charged the phone how long it will last? is its battery quality is too much poor? Salehin, 25 May 2009Salam, Frndz I took this phone this week its really gorgeous looking... but I m facing some p... morehey did u find a solution to ur themes prob?? benq is great but i cant add extra downloaded themes..can anyone help me?? don't buy this phone as it sound, battery is poor.It display is very poor when it is used for 3 or 4 months.I have bought it and noe i am using NOKIA 5130 xpress music.So before u wanna buy BENQ (ANY MODLE LIKE-C30,T60)think about it and compare it with other mobile. obv its not a china ph guys...i have already used benq ph once...its display quality is simply awsome...too gd...n sound is also excellent....so dnt hesitate to buy it..ya bt after getting old..its battery life will get reduced...bt dont worry..that happens with every model ph..
Frndz I took this phone this week its really gorgeous looking... but I m facing some prob. 2. contact search is complex. I found it smart look, reasonable price, most of the functions are there those I want.I wish to buy this set nxt month. whats ur opinion frnds. 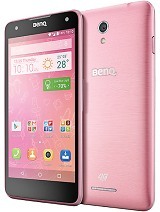 or can u suggest me any phobe with in the range of BDT 5000 to 6000 maximum. please do suggest. I agree the phone is a bit too heavy and has bluetooth 1.1 which is like sooooooooo slow. 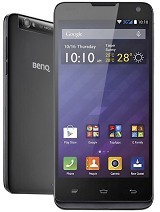 Total of 164 user reviews and opinions for BenQ T60.